People in Kasaragod district of Kerala were exposed to the insecticide endosulfan between the year 1975 and 2000. In 2018 Kerala budget, Thomas Isaac had announced Rs 50 crore for those victims. None has received any money so far from the government, said Daya Bai. Thiruvananthapuram: Social activist Daya Bai joined hands with endosulfan victims. The victims from Kasaragod, Kerala, began an indefinite fast in front of the secretariat, Thiruvananthapuram, on Wednesday. The main demand of theirs is speedy disbursal of compensation and rehabilitation. Kerala finance minister Thomas Issac on Thursday announced Rs 20 crore allotted for the welfare of endosulfan tragedy victims. "Nothing will happen with this Rs 20 crore, the government should do more. I heard that UDF leader Oommen Chandy visited Daya Bai and the protesters. 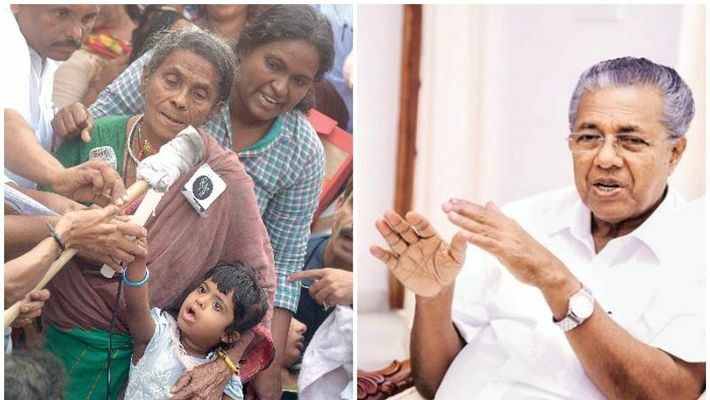 I am saddened by the fact that he did not do anything for endosulfan victims when he was in power," said Malayalam writer and activist Ambikasuthan Mangad. Mangad also added that Chandy personally visited the protesters only because the Lok Sabha election is fast approaching. The victims earlier had staged many rallies, sit-in protests and hunger strikes in the state capital. In the years 2012, 2013, 2014, 2016 and 2018, the victims protested to seek the attention of the ruling government. People in Kasaragod district were exposed to the insecticide endosulfan between the year 1975 and 2000. It is alleged that the public sector plantation corporation of Kerala sprayed the chemical aerially on its 12,000 acre of cashew estates. More than 1,000 people died then. Since then, hundreds of children were born with congenital disabilities, epilepsy, cerebral palsy, hydrocephalus, diseases of the nervous system and severe physical and mental disabilities. The Plantation Corporation of Kerala stopped spraying endosulfan in 2001, but its impact is still being felt in Kasargod – babies continue to be born with genetic disorders and physical deformities. This is why environmental activists call it the biggest pesticide tragedy in India. "In 2018 Kerala budget, Thomas Issac announced Rs 50 crore for endosulfan victims, but none has received the money from the government so far. We don't have any hope in the new budget too. We are planning to use the Right to Information Act to know where the money has gone," said Daya Bai. Bhai added that only if the media pushes forward this struggle for justice, it will reach Pinarayi Vijayan's government, and they will receive help. And till the government offers aid to the victims, the protests will continue, she said.